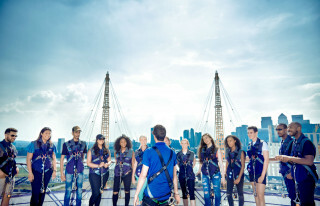 Climb one of the most iconic and busiest concert halls in the world. Observe London landmarks from a completely unique point of view. Please arrive 15 minutes before your climbing time. Make sure you have your payment details and reference numbers ready. Minimum age is 9 years old, and minimum height is 1.20 meters (4 feet) tall. Climbs take place in all weather conditions unless it is extreme. Strong winds, lightning, heavy snow, ice, and anything that makes the activity unsafe means we need to close. Your guides will give you a safety briefing, helpful tips, and answer your questions before you go up. You need to be physically and medically fit to do this activity. Ask your doctor if you’re not sure. But as a general rule, if you can walk unaided, you can complete the climb. Usually, each group can have up to 16 people with a guide. Please, don’t attempt this activity if you’re pregnant. Maximum weight is 130 kilos (286 lbs), maximum waist measurement is 75 centimeters (29.5 in). What to wear? We recommend wearing comfortable clothing underneath your climb suit - this includes socks. We recommend hats and gloves for colder days. Cameras, bags, and personal items are not allowed, but you can bring your mobile with you. 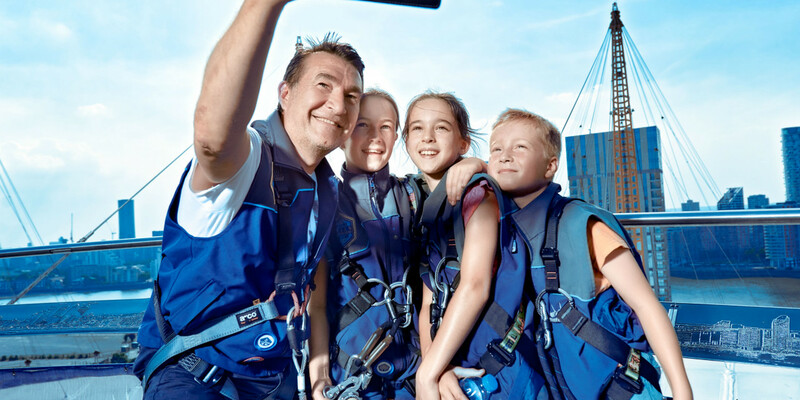 It must be carried in the phone pocket on your climb suit and can only be used on the viewing platform. Anything else can be stored in your lockers. Remember that lockers are small, so please don’t bring large items. Essential medication like inhalers, insulin, and nourishment are allowed. Your guide will carry them for you. Eating and drinking are not allowed during the activity. 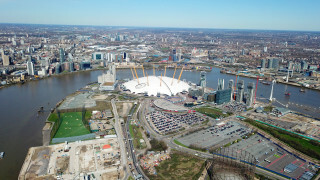 There are many restaurants and bars at The O2 Arena. If your climbing is canceled due to bad weather, we’ll book you in for the next available climb. If no other slots are suitable, we’ll give you a refund. Cancellations can be done up to 24 hours before the trip with 100% reimbursement. For later cancellations, there is no compensation. On rare occasions, this activity may need to be postponed due to bad weather. In these circumstances, we will offer you alternative dates, or we will refund you 100% of the paid amount. 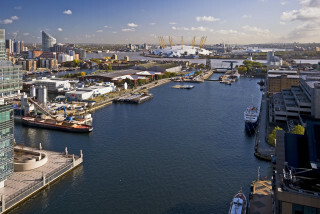 We’re just to the left of the main entrance of The O2. 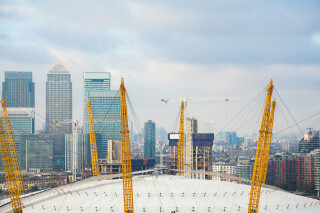 The O2 Arena in London is the busiest gig venue in the world. From Katy Perry to Led Zeppelin, all the big stars have performed memorable concerts on its stage. But the building is famous for more than these musical attractions. 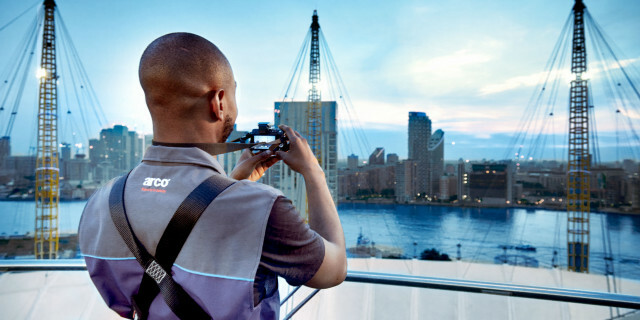 The Dome – as the structure is known because of the shape of its roof – is a hotspot for urban mountaineering as well. This means that you can climb the iconic landmark to the top of the viewing platform, reaching 52 m (170 ft). The adventure starts with you meeting your friendly instructors at the arena’s base camp. They give you a safety briefing, some useful tips, and answer your questions before you go. Then, you receive the necessary equipment to climb the building. This includes an appropriate suit, harness, and comfortable boots. Nervous? Don’t be. Your experienced guides are with you every step of the way. More than that, they point out landmarks and share exciting facts about the city, making this tour even more interesting. 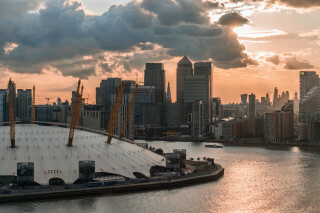 Once you reach the top, you can take your time to observe famous spots, such as Greenwich, the Olympic Park, Tower Bridge, Big Ben, Canary Wharf, and The Shard. The downside of this adventure is that those 90 minutes go by much faster than you’d hope. 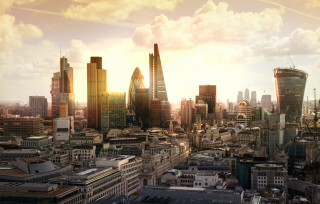 Luckily, the memories of your experience and of such unique views of London can be remembered forever. 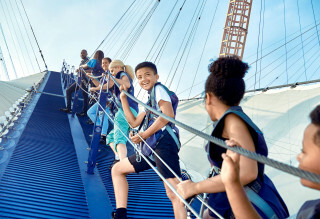 Climb the O2 Arena for spectacular sunset and twilight views of London. 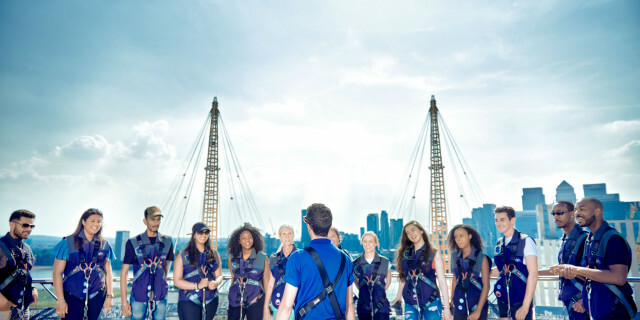 Take your colleagues, friends, and family to climb the O2 Arena for a unique experience in London.